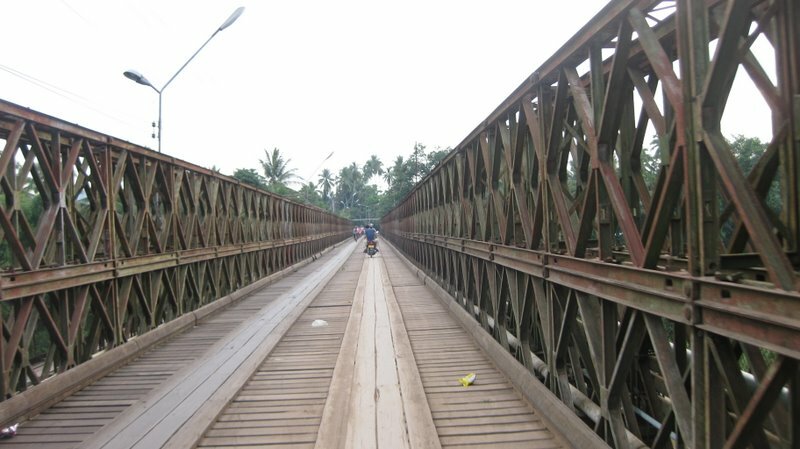 A two-wheeler bridge in Luang Prabang, Laos. There is one “lane” each for incoming and outgoing traffic (bicycles and motorcycles). There is a separate new bridge for larger vehicles.